Elizabeth M Jacob: potato heart stamps tutorial. 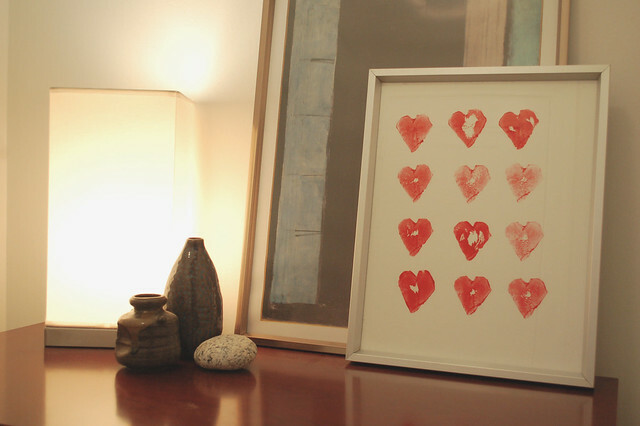 Yesterday the kids and I had got creative and made some heart stamps out of potatoes, which we then stamped on white paper and framed for Valentine's Day. This is a super easy craft to do with kids so I thought I would share. 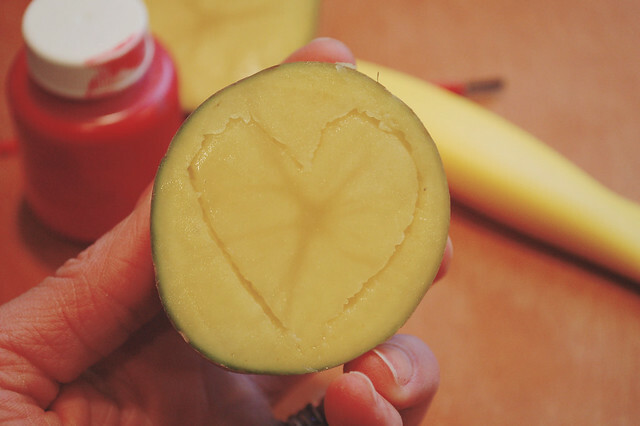 First, I cut the potato in half and used my pen to trace a heart. I then took my knife and cut out the heart making sure to leave room on the back to hold the stamp. Since there may be moisture on your potato, wipe it off with a towel for a few seconds. 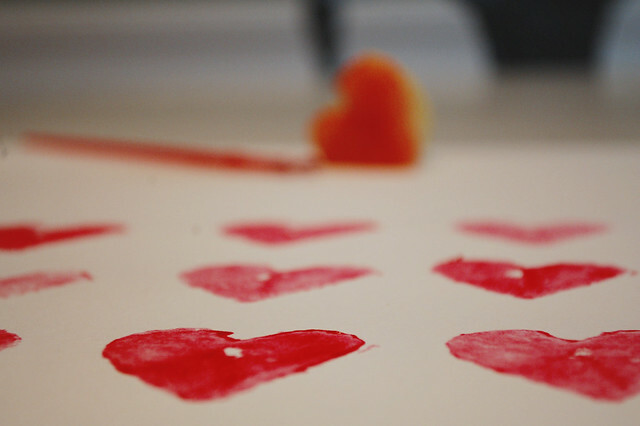 Paint your heart using a brush and stamp away! I let the kids help me stamp so it's not perfect but it's exactly what I wanted! A craft that everyone could participate in. Once it dried I cut it down and put it in a spare frame. Right now it sits on a table in our entryway but I think I may hold onto this one and hang it in Jessica's room. I love that she helped too. We'll be busy making valentines (Star Wars one's of course) and crafting. Love this! Such an easy craft w kids and looks great framed! Definitely going to try this! I really like it!!!! Good job!! perfect for 'craft night!' thank you! Lovely idea, Love that you framed it. I think it looks perfect. so sweet and what a fun idea! tips for skiing with kids. To the musuem we go. 16 months and on the go.